I don't know what time it is in your countries actually I know for some but however it's 23:30 pm in Macedonia and most of normal people are probably sleeping but I am night owl and here I am 😀😀😀 writing another #bookreview. 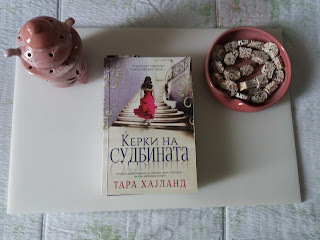 It's been two weeks since our last hangout and like I said I was planning to take some time for summer break, but in one of #bookblogger groups I find some interesting books..... So I have decided to delay my holiday. I usually write reviews about love novels but when I saw Alieu 's request for book bloggers to review his book I found myself in one very interesting world. Yes don't get me wrong and stop with drama faces. This is one very hard and emotional but in same time very powerful story. First of all I must tell you this is first book by this author Alieu Bundu I have ever been reading. And in the moment when I was applying for this job I was thinking WTF AM I DOING??!!! But the man was very very professional and that was the best reason why I was continue and after two weeks finished my work. But when I have started to read the only thing that I could think was this story. In this whole cruel world full of any kind of wars no one thinks of the innocent people, the innocent children, THE ORPHAN!!! Actually Alimu it's not real orphan, he has a father but the faith makes him an orphan. He lives in small village with his father, his father's wife or his stepmother and her children. And everything what he want is to learn and he is very good at it actually one of the best in the school. But his stepmother is real bad stepmother. However one day his dream finally become thru his father decided to take him to the big city at his aunt so Alimu can get proper education like he deserves. And his happiness don't have end until his lovely aunt became AUNT FROM THE HELL!!! And..... Oh no no no I will stop here and let you read this very interesting book. Lots of emotions, lots of tears and lots of faith you will find in this book. It will be hard to read about the lots of cruel things that you will spot it inside. You will find yourself crying about lots of things here. But Alimu's faith will keep you wake up late in the night. 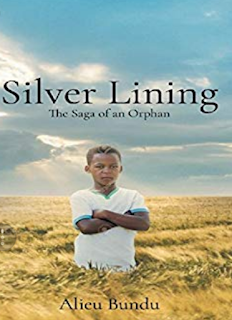 And this story of Alieu will bring back all your lost dreams and will show you that everything is possible if you want that to hard. Every dream you are dreaming can become your life. But truth is that you will pass through everything sometimes through the hell but at the end you will live your own life. Hhahahha yes I am at the end of this review I hope you will like it.